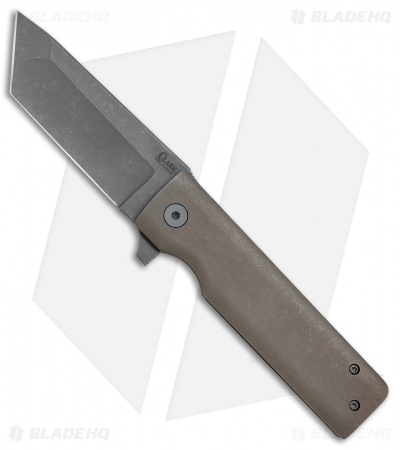 This Grunt model sports a bronzed titanium frame lock handle and a tanto blade in a black stonewashed finish. The Clark Blades Grunt is a beefy EDC folder that will stand up to any heavy duty cutting job. 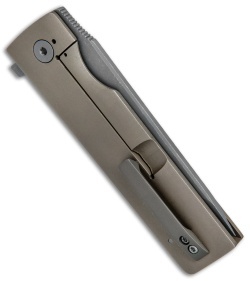 The minimalist handle has been rounded for a comfortable grip, with a frame lock bar for secure lock up. The large blade comes in a tanto style with a compound grind and a brushed satin finish. 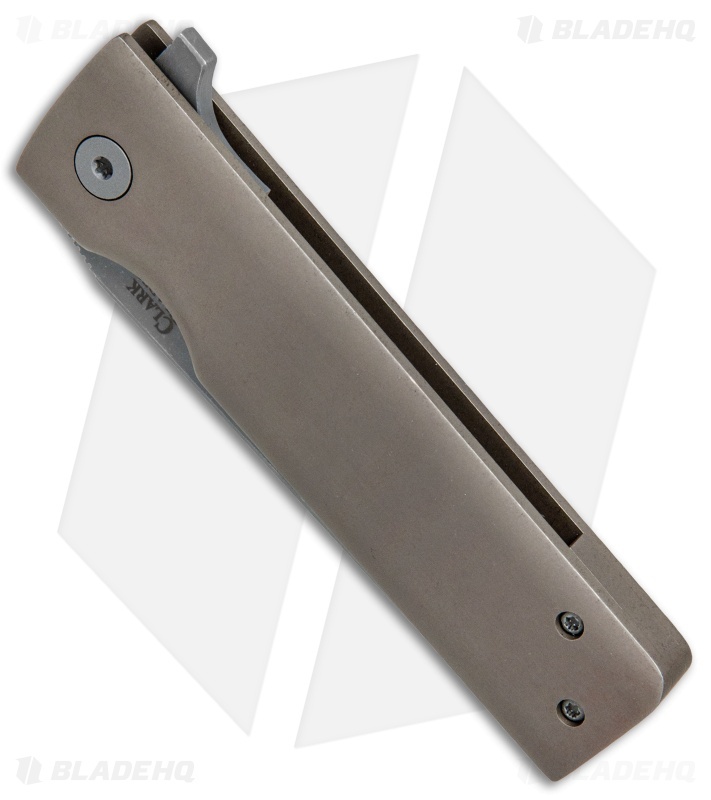 A stout titanium pocket clip rounds out this exquisite custom design from David Clark.